Hollywood icon William Shatner reflects on the success of Star Trek, 50 years after its television debut, his friendship with the late and great Leonard Nimoy, and facing his own mortality. 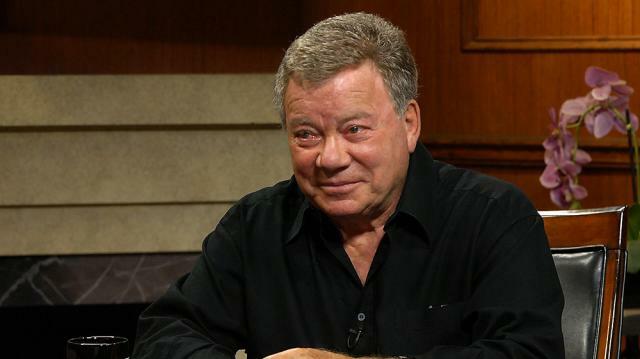 Plus, the original Captain Kirk discusses his charity, benefitting children and veterans. Mythology is faith really. The mystery of how it all started still isthere, thustly we are spiritual. We’re just not into the illogic of thefaith that some people have, but that faith seeks to explain theunknown…The mythology of Star Trek and science fiction seeks to explainthat which — what is dark matter? Ninety five percent of the universe iscomposed of something we have no idea. We’ve never seen it. We justtheorized it exists. We know nothing.” — William Shatner on the appealof Star Trek. “Well, you know he was an artist. He didn’t come across as some greatartistic— he was very serious but he had a great sense of humor. Butthere was an artistry to things he did. He did so many. He wrote books,he wrote poetry, he sang, he loved music. I saw a piece of film, Larry,which he did 'To be or not to be' in yiddish, and it was melodious andstrange and interesting in a sort of Germanic thing. But it was fluidand he spoke it beautifully.” — William Shatner on Leonard Nimoy and hisgreat artistry.